A report from the Michigan United Conservation Clubs pegs hunting and fishing as an $11 billion industry in Michigan. LANSING — Fewer Michiganders are hunting and fishing each year as baby boomers get older, a trend that could wallop the state’s economy and efforts to protect wildlife. That’s according to a group of lawmakers, conservationists and business representatives who urged the Legislature to entice a younger, more diverse generation outdoors. Lawmakers must also bolster funding to clean up toxic chemical contamination and address chronic wasting disease in deer or risk more declines in hunting and fishing, according to the Michigan United Conservation Clubs. The prominent conservation group released a study Monday estimating the economic impact of hunting and fishing at $11.2 billion and 171,000 jobs annually, which would put it in the state’s top 10 percent of industries for job creation. The study, conducted by Michigan State University researchers with funding from the C.S. Mott Foundation, found that spending on hunting and fishing translated to more jobs in Michigan than in any other Great Lakes state. Heavily populated southeast Michigan gained the most from hunting and fishing, with about $3.7 billion in economic activity, the report said. The report “really helps buttress our need for the hunting and fishing economy of Michigan to be maintained,” said Rep. Gary Howell, R-North Branch, who last year served as the chairman of the House Natural Resources Committee, and worked to expand youth hunting and pheasant hunting in the state. Howell joined Rep. Leslie Love, D-Detroit, in calling for increased attention to the state’s dwindling numbers of outdoorsfolk. Firearm deer-hunting licenses sold to Michiganders has dropped more than 20 percent in two decades, down to 621,000 in 2017 from a peak of 785,000 in 1998, according to a recent demographic analysis from Michigan Technological University. Fewer Michigan residents are legally fishing, too: 880,000 in 2014, down from from a peak of 965,000 in 2009, according to a seperate Michigan Tech analysis. Other states are seeing similar trends as older baby boomers slow down and interest wanes from younger generations. It bodes poorly not only for the outdoors and tourist economy, advocates say, but wildlife conservation as well. “Hunters and anglers foot virtually the entire bill for conservation in Michigan and other states,” Eade said. “That’s because hunting and fishing license fees and surcharges are used to pay for the majority of wildlife management and habitat restoration in Michigan and across the nation,” roughly $62 million a year in Michigan. Love is co-chair of the Michigan Legislative Sportsmen’s Caucus, and she hopes her leadership — as a woman and a self-described “city-slicker” from a family of anglers — will help identify ways to diversify participation in activities that are largely identified with white men. She noted, for instance, that her district and surrounding Southeast Michigan has plenty of Spanish-speaking residents, and Spanish-language messaging in some of those communities might bolster more interest in hunting and fishing. That’s something grassroots groups in Nebraska have tried, she said. Michigan Tech’s demographic analysis of fishing license purchases offers hope for more expansion in one demographic: younger women. Though men still make up 79 percent of Michigan anglers, women’s participation is steadily increasing, that report noted. Calls to encourage more Michiganders to hunt and fish come as the state’s dealing with a pair of major major threats to wildlife. That includes chronic wasting disease, a fatal neurological disease that attacks the brains of deer, elk and moose. Michigan has tested tens of thousands of deer for the disease since 2015 when it was first detected in the state, and the Department of Natural Resources has flagged it in more than five dozen of the animals. Meanwhile, PFAS — “forever chemicals” linked to cancers and other ailments and increasingly being found in Michigan waters and fish, and in at least one deer. Last October, state officials warned residents in Oscoda, home to the PFAS-contaminated Wurtsmith Air Force Base, not to eat deer in the area after high levels of the chemical were detected in one deer. Amy Trotter, executive director, of Michigan United Conservation Clubs, said it’s too early to say whether chronic wasting disease or PFAS contamination are directly affecting fishing and hunting numbers, but they could in the future. Regardless, Trotter said, her group and its allies want the state to pour more resources into each of those problems — to ensure fish and deer remain safe to eat. It's pretty obvious you aren't a fishermen or hunter? In general ... our fishing and water quality is the best it's ever been since being measured, not that it can't be improved upon. Further probably the biggest bulk of the fish caught are being fished for the challenge and not for food and are then released. These people are super interested in their fisheries health even though they don't eat them and spend big bucks chasing them! The decline in participation has other more societal causes. Our DNR’s stance on the white tail population has to change. Their claim is “bait piles” are the reason bovine tb and chronic wasting disease are being spread. Their answer is to ban any form of baiting in 2019. How does that address the hundreds of deer you see feeding in farm fields all over the state. They claim the close proximity of the baiting causes fluids to be easily transferred but it is hard to see any separation of the deer in the fields. In this day and age a hunters time is being torn in several directions. When they go into the woods, they have an expectation to see deer. Not necessarily to take one, but to see the wildlife. When that doesn’t happen, the result is less licenses sold. 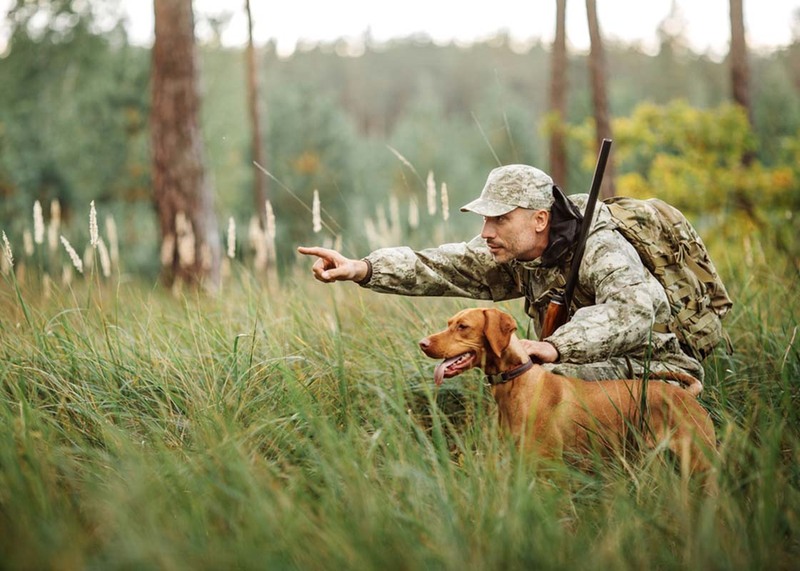 Pheasant hunting has become a club event and with deer hunting starting in September with youth hunts and physically challenged hunts, small game hunters have been pushed aside. Baiting would assist the problems in several ways. If you see deer in the very few days you have to hunt, you will continue to purchase a license. Baiting also allows more deer to be observed and make it easier to report diseased animals. Selected hunts to identify and weed out diseased animals would also be easier to implement. I haven’t even began to address the impact on the local businesses that are impacted by these decisions. These days if you sneeze the wrong way they take away your right to own a firearm. Men, fathers, have been made the villain for quite awhile and now we're seeing the results in many areas, this is just one. Say goodbye to the America we knew and loved. The problem outlined in this article did not start with the decline of the baby boom generation and the people running the MUCC know this. The decline in participation across all outdoor pursuits began with the passing from the scene of the WWII generation, accelerated as the Korean War era folks passed, and continues as baby boomers age and die. Americans are not hunting and fishing. They are not hiking and camping either. I receive emails and magazines all the time from the big hiking trail organizations in the Midwest such as the North Country Trail and the Ice Age Trail. They show lots of photos of kids and young adults hiking along with packs on their backs. When they show photos of the annual meeting, and of trail building events, almost everybody is 50+ years old, and everybody will be 40+. Our daughter and her husband (and our four year old grandson) are avid, every-weekend sort of outdoors people. They currently live in California, and other hikers and campers they encounter on their jaunts are almost exclusively old people or visiting foreign tourists. I see no reversal of these trends to be possible. Every year people become more indolent and urbanized and turn more exclusively to internet based pursuits, and vacations at all inclusive resorts and on cruise ships. A lot of people are afraid of the outdoors, with good reason, as they have no outdoor skills. Many of them would be on a collision course with needing a rescue of they ventured off asphalt. I will never forget the family group we encountered in the outback of the UP who had decided to go on a hike, on a trail whose length or location they did not know, in sneakers and dress shoes. With no water. At least I was able to point them to safety, and give them water. Fifteen years ago, when I would look out the window at our lake on a summer afternoon, I would see 10, 15 or sometimes 25 fishing boats. Today, I usually see no one. It is very unusual to see more than 2 boats out there and this is a nice pan fishing lake. A wonderful bicycling trail was built on the site of a long standing recreational trail just west of our home. It has a gorgeous woodchip tread and absolutely lovely vistas on a professionally planned route--and it's mine. In four years, I have seen one other person on it who was not my hubby. People today view the out of doors as a venue. Guys who don't routinely hunt around home want to take a "hog hunting trip" to a game farm in Texas, non-fishermen will go up to Canada or Alaska. Everything has to be something to brag about, and this includes telling listeners how much "the experience" cost, or the shotgun, or the fishing boat. If you hunt birds, you need a fancy dog, hopefully of a breed nobody you know has heard of before. I own a minor breed all around hunting dog, as a pet, because I got to liking them when I was in eastern Europe for awhile. I had a guy try to steal her when we were out walking, because he knew she was unusual, and valuable. No outdoor experience is truly worthwhile unless it you can brag about it's cost. But--take that kid fishing!! Robyn It has been explained to me that there are fewer people participating in outdoor pursuits but those that do do so more intensively. I believe this is true. Good mountain biking trails are full of young people. Top quality fishing and hunting spots at the right time are packed. High school bass fishing teams are a big deal. I'll guarantee you'd have a hard time finding a camp site while backpacking on Isle Royal. Illinois has no problem finding outstate hunters willing to shell out $400 for a deer tag. Yes there are fewer licenses being sold because parents don't encourage and there are so many competing choices . Where were you useless borehog teets when the NRC (Needsa Reality Check), raised license fees, implemented the base hunting license (Just a bureacratic money grab), banned food plots and supplemental feeding? Hmmm? And you wonder why there is a marked drop in hunting interest. Not to mention the DNR's 62 page (count 'em, 62) hunting guide. Rediculous! Some of us were just fine with the changes to the licensing system. I don't feel I'm paying too much and I spend about $100 just for hunting. It's that much cause I buy fairly many tags, but I fill 2 or 3 most years, mostly from public land. It's a great deal. I could have bought just one tag for a $31 total - that's not that much considering what I think a deer is worth, and it's lots less than I spend just on gas. The base license has had the intended affect on me - I try bunnies and squirrels once in awhile now, but never did before. Some people just like to complain about the DNR. Food plots are not banned. Baiting will be. I'm fine with that too, cause I go to where the deer are. While number of hunters declined again last year, we shot more deer than the year before. The people who have dropped out perhaps weren't very serious or good at hunting and may not be that much of a loss, except for some money, which the rest of us can make up for. More DNR money should come from general funds though, I'll agree with that, so the DNR will be less beholden to hunters, and concentrate more on general stewardship. Many businesses and communities benefit financially, and should think of it as an investment. The non-consumptive users also have a stake. People like me who berry pick and hunt shrooms as if life depended on it also benefit. Agreed. Maple syrup, berries, and mushrooms, are they all laced with PFAS too? Let's just pay for what we love with reasonable taxes, not user fees. Few people realize the contribution to the economy that hunters make annually. Yet, they are berated by virtually every organization not associated with hunting. This year, there will be a ban on baiting for deer in the lower peninsula of Michigan. This means all of those excess apples, carrots, sugar beets and corn will no longer be sold to hunters. As far as the economy goes, you know this will hurt. As far as hunting goes, that's open for discussion. Personally, I always dreaded when the woods would be flooded by bait because few people followed the 2 gallon limit. We would bait several spots with one quart bag of corn and two apples. It worked well until November when the firearms hunters flooded the woods with a buffet of food. What about the rigid-haul paddlecraft registration program that was floated by the Waterways Commission last year... It was quickly labeled the 'kayak tax' during the last year of an outgoing republican administration, weary to jeopardize any loss of power in the legislature in the upcoming election by supporting a fee-based program... However, I believe there were to be real positive outcomes from such a program... Seems we need to tap into some of the ways the younger generation is utilizing the natural environment and make sure a fee-based program aligns with both protecting the resources being used as well as improve the outdoor rec experience... just as the hunting and fishing fee-based programs did/do. It takes work!